Get a $90 Bonus Every Month! InterPoker will continue our massively popular bonus scheme by giving every player another $90! We will match your first deposit of the month with a 100% bonus up to $90! In order to withdraw the bonus or play with it on the tables you will need to play five (5) times the bonus in raked hands. Promotions are intended as a bonus to attract new users to InterPoker, and retain existing users. InterPoker encourages end users to participate in promotions, but to refrain from abusing them. Any abuse of a promotion which comes to the attention of InterPoker may result in the cancellation of that promotion and/or future promotions. Our definition of abuse by end users includes, but is not entirely made up of, making use of promotional offers such without ever risking their own funds. 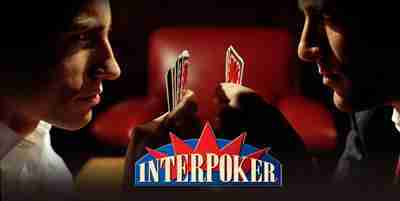 InterPoker reserves the right to limit the number of times end users may participate in a promotion. Identity of participants will be determined on the basis of all or any combination of the following: name, mailing address, e-mail address, credit/charge/debit card number, and any other forms of identification which may be required. Where multiple participation is permitted, the InterPoker reserves the right to limit the number of bonuses that may be given to any one participant. InterPoker may, in its sole discretion, limit the eligibility of end users or of any one end user to participate in promotions, and to restrict the eligibility of any group or category of end users to participate in promotions. InterPoker reserves the right to modify, alter, discontinue or terminate a promotion at any time for any reason whatsoever, without notice to end users. However, InterPoker will use reasonable efforts to provide advance notice to end users of any such modification, alteration, discontinuance or termination. InterPoker, CryptoLogic Inc., WagerLogic Limited and ECash Direct (UK) Limited shall not be liable for any damages howsoever arising as a result of any such modification, alteration, discontinuance or termination of any promotion, and any such liability shall be borne solely and exclusively by the end user. InterPoker, CryptoLogic Inc., WagerLogic Limited and ECash Direct (UK) Limited reserve the right to review transaction records and logs, from time to time, for any reason whatsoever. If, upon such review, it appears that end users or any one or combination of them are participating in strategies which InterPoker, CryptoLogic Inc., WagerLogic Limited and ECash Direct (UK) Limited in their sole discretion deem to be abusive, InterPoker, CryptoLogic Inc., WagerLogic Limited and ECash Direct (UK) Limited reserve the right to revoke the entitlement of such end user(s) to the promotion. Players from Bulgaria, Croatia, Hungary, Latvia, Poland, China, Malaysia, Singapore, Hong Kong and Ukraine will be excluded from the match deposit bonus promotion. Please note that players cannot claim the 100% Match Deposit bonus at InterCasino AND at InterPoker. Once you have received a bonus in one, you will automatically be exempt from receiving it in the other. Players can however fulfill the wagering requirement on this bonus in either the Casino or the Poker room. Please note that if the wager requirement is not fulfilled within the month the said bonus is issued, any outstanding wager requirement will continue until the wager requirement is met - even if additional bonuses are issued. Strictly one bonus credited per household or GUID (Globally Unique Identifier), per calendar month.